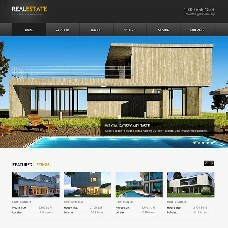 We offer integration of ready design templates into a real estate site built with PG Real Estate. The design templates and themes that you see here are provided by our partner TemplateMonster, the recognized leader in templates industry since 2002. TemplateMonster team offers more than 46,000 designs to choose from. We can help you add any of them to your real estate website. Note: We suggest that you discuss all the project details with your personal project manager before purchasing the template. - What languages you are going to use on your site. Please contact our Experts team with the above information to receive a free estimate.